Last year Jigsaw opened a new concept store in the heart of Covent Garden. 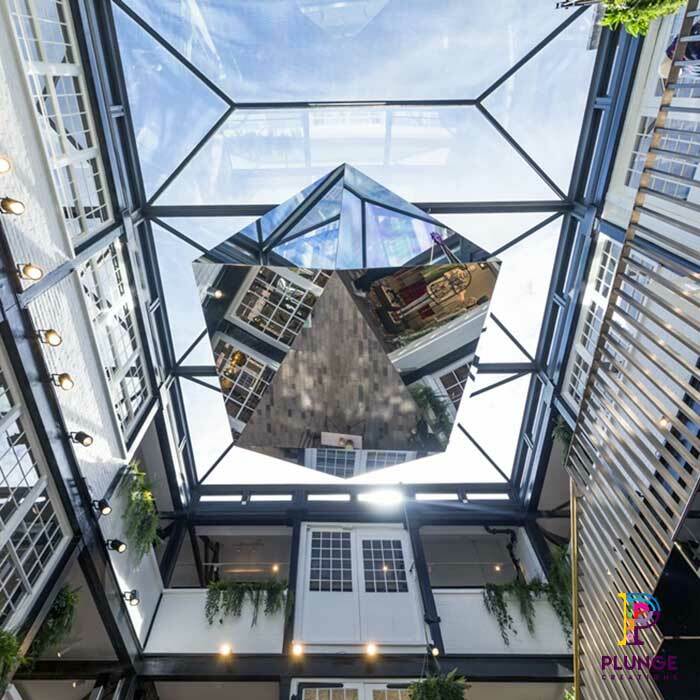 Located in the historic Carriage Hall, designers Dalziel & Pow set about transforming the Bluebird store into, as they called it, a “Playground of Wonders”. 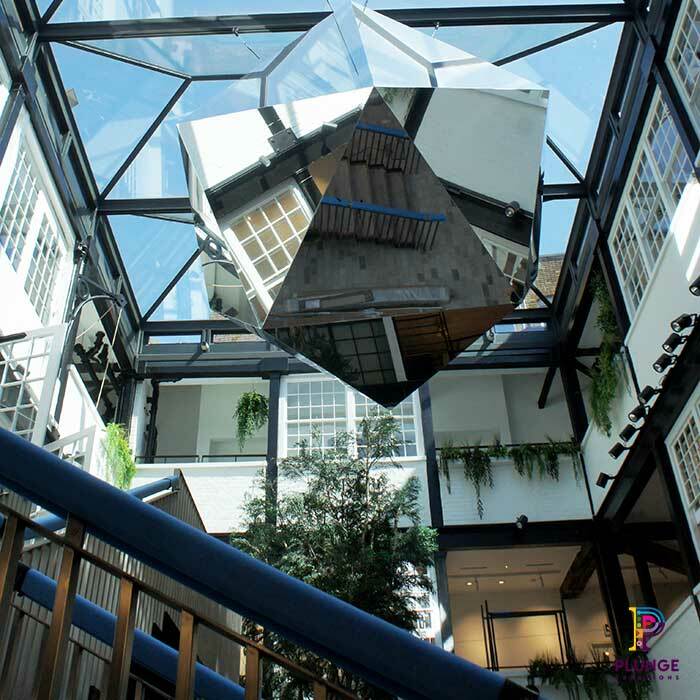 For the centre of the space, they designed a mirrored sculptured. 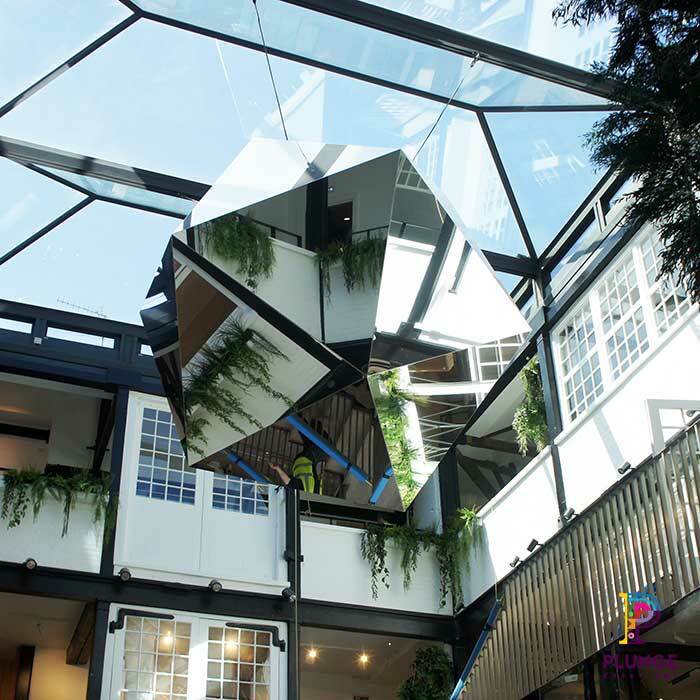 This flawless mirrored icosahedron was to be suspended in atrium of the building. Adding to the already light and airy feel of the interior design. Having worked with Jigsaw previously on various projects, they approached us to help realise this element of the design. 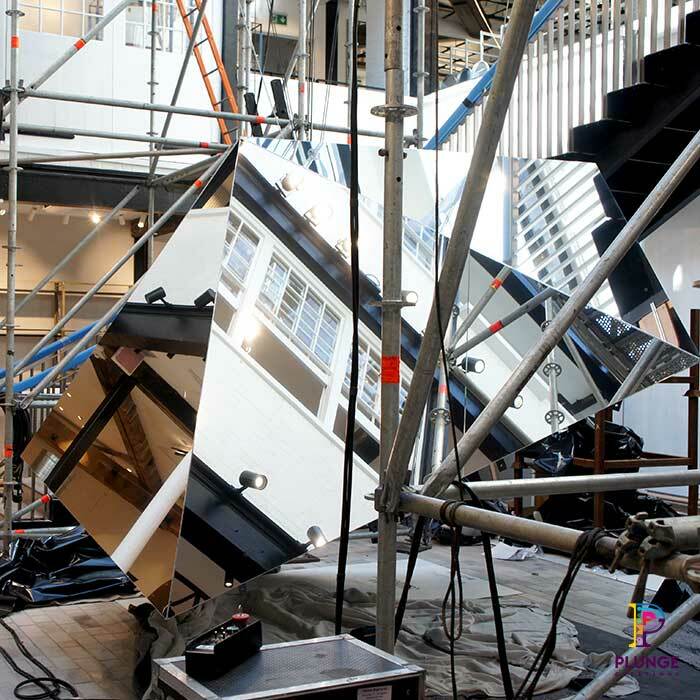 Due to the height which the mirrored sculpture was being installed at, it was vital to come up with a light weight and durable design. We chose to move away from traditional glass mirror to a polyester (PET) mirrored film. The final result was exactly as Jigsaw had hoped, incredibly striking.